Putting a lot of work into your newsletter and worried that no-one's reading it? Now’s the time to take stock and start making a few small but crucial changes. To improve your open rates, you first need a firm grasp of how well your newsletters have been performing to date. If your email marketing software doesn't already include a full range of statistics and easy integration, switch to one that does. Mailroom offers the kind of detailed reports and statistics that can help you pinpoint what you're doing right, as well as where you're going wrong. 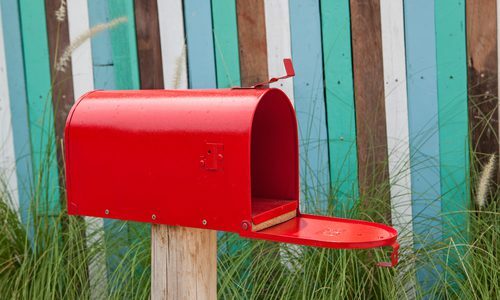 Examine your open rates carefully and discover which newsletters have had the most success. Use the results as the backbone for your future content by noting the subject lines, headlines and images that encouraged click-through rates and which newsletters enticed readers to scroll all the way to the end. The best way to find out the kinds of things your target audience want to know more about is to ask them. Surveys and customer interviews can be a great way to do this, but it's also worth talking to the staff in your business who have client contact – there's a good chance they'll have some strong anecdotal evidence of the topics your clients are interested in and the common questions they ask. Another good way to find out whether your newsletter is hitting the mark is to monitor your social media presence in the days directly following a mail out. If you find people talking about your business or your content, you're onto something. Of course, not all customers and clients on your mailing list will like the same kind of content. In fact, it could be that you have several distinct demographics in your customer base and if this is the case, it's well worth segmenting your lists and sending separate, targeted newsletters to each group. Your analytical research has another important benefit – it can help identify the days of the week and the times that are most successful when it comes to open rates. Everyone knows that last thing on a Friday afternoon isn't a good time to send a text-heavy newsletter, but many other factors can change depending on demographic, so it’s worth carrying out your own research. Content is crucial when it comes to newsletters, and that includes more than just the copy; you also need to think carefully about how the whole package looks. To help your readers digest your email, paragraphs should be small, headlines punchy and frequent, links highlighted and images interesting. Take time to find pictures that stand out and are related to your content. Try testing different styles to see which images get the best results. These days you also have to ensure that newsletters can be read on mobile devices. According to research by Radicati, 46% of email users accessed their email via a mobile device in 2015 and 80% are expected to by 2018. Ready to revamp your newsletter and looking for a new email suite or help with design? Contact Netregistry today.